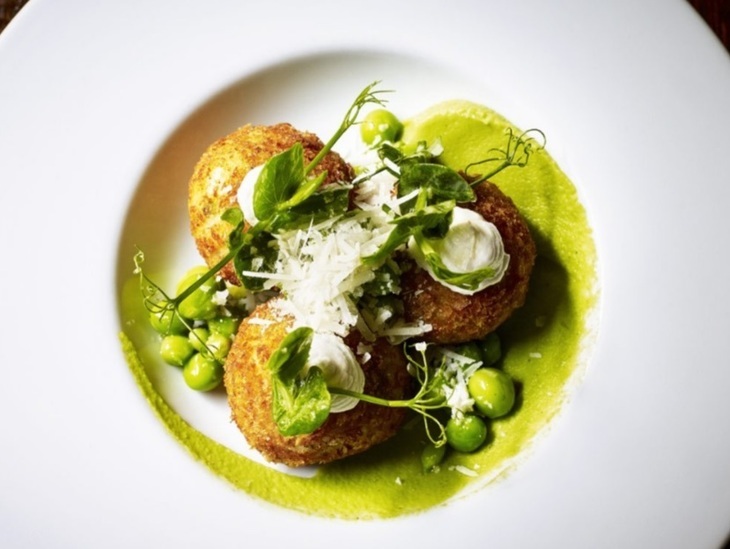 We're rounding up the very best restaurants in London for specific cuisines. We're not talking authenticity here, rather the kind of food we really love to eat. Value is kept firmly in mind, and most of our picks represent this; on the flip side, of course, some places are so good that they are worth saving up for. As ever, please do let us know your thoughts and other recommendations in the comments below. 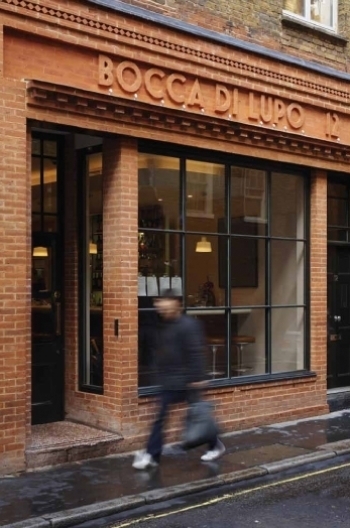 Restaurants don’t get much more Soho than the buzzy Bocca di Lupo just off Rupert Street where a daily-changing menu spans small and larger plates of vibrant, feel-good food. Be it fresh salads, gooey fried cheese or spaghetti tossed with oil and anchovies, simplicity and ingredients are key. If you’re happy to soak up some bustle, a seat at the bar, a few small plates starting around £7 and a glass or two from the extensive Italian wine list is a fine way to spend an evening. A selection of fine gelato desserts are another draw (though you can also buy this from the restaurant's dedicated gelato shop Gelupo opposite). Tucked away on a quiet Spitalfields backstreet that feels untouched by the last hundred years, there's much about Enoteca Super Tuscan that doesn't feel like modern London at all. In fact, of all the restaurants in this list this is the one that's most evocative of Italy itself. As you might guess from the name, wine is as important as food here, and there are some very impressive bottles from Tuscany and beyond on the list, along with more affordable options. Food is kept simple, with hefty and creative antipasti platters among the most popular wine-soaking orders; homemade pastas, grilled meats and Tuscan bean stews are also well worth a go. 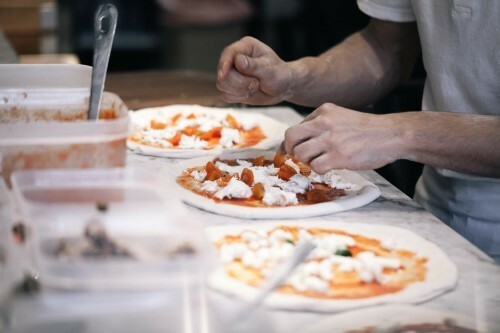 Franco Manca, the sourdough pizza place, opened in Brixton Market way before it was cool to do so; and it now has more than 25 branches across London. It's still one of the best pizzas in town, with an enviable chewy base and toppings that benefit from high-quality ingredients. The main attraction is backed up by selections of Italian cheeses, cured meats and gutsy salads. Chef Francesco Mazzei heads up the modern City Italian L'anima where comfy surrounds are switched for glass walls and hip white furnishings. Thankfully, the food is more homely. Cheffy techniques work only to draw out flavour in a menu of classics that includes a take on his mum's lasagna alongside slow-cooked pasta dishes and grilled meat and fish where the ingredients are quite rightly left to do most of the talking. Mains range from around £15-£35 on the a la carte menu, but if you're eating on a budget, you could always try the excellent bar snacks, starting from £4.50. Specialising particularly in rich, meat and cheese-led dishes from Northern Italy, Mele e Pere in Soho pleases with a mix of boldly-flavoured salads, small antipasti-style plates and indulgent pastas that make frequent and liberal use of truffles, parmesan and butter. We'll admit to finding the chili-stuffed deep-fried olives addictive on a Class A scale, and the strong, slow-cooked flavours of a beef ragu aren't far off. Propping up the bar is a great way to sample a few of the smaller dishes, and from 4-7pm every weekday is 'aperitivo hour' meaning 50% off drinks with any food order. The bar team also make and serves their own vermouth, which is well worth a try for rarity alone. Russell Norman’s trendy set of Venetian-inspired small plate restaurants present humble but hearty Italian dishes made for sharing. Signatures at Polpo range from meatballs to stews via simply cooked greens, all washed down with Campari-led cocktails or Italian wine. There are now several branches in London, including Soho, Covent Garden and Smithfield. An unlikely London institution in an even more unlikely location, The River Cafe by Hammersmith riverside has been churning out simple, ingredient-focused dishes since 1987. At around £35 for most main courses, it doesn't come cheap, and we reckon there's much better value to be had elsewhere on this list. 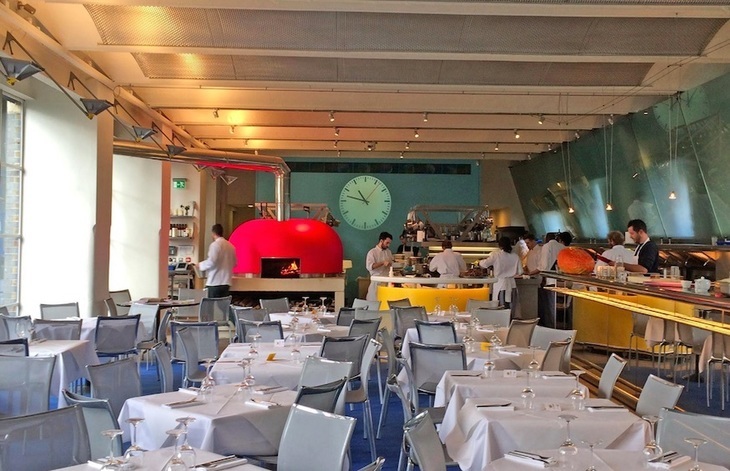 That said, some things are worth experiencing, and for a fan of Italian food in London The River Café is one of them: mark it down for a special occasion. 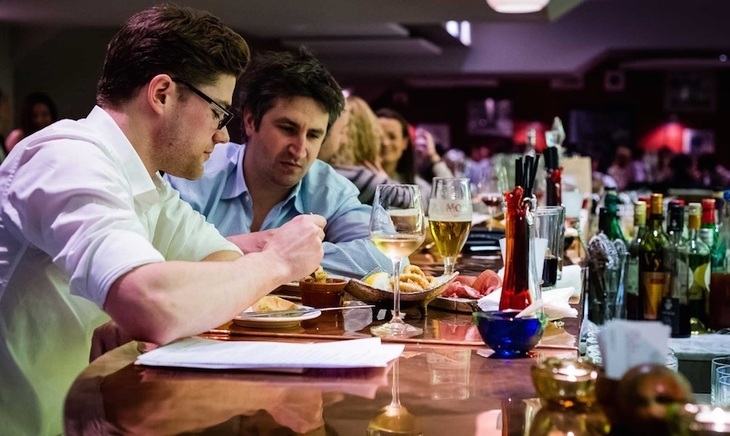 The Salt Yard Group run not only this namesake restaurant, tapas and charcuterie bar on Goodge Street, but also Dehesa, Opera Tavern, Ember Yard and Veneta. This entry is for all their spots which meld Spanish and Italian foods and cultures to create buzzy small-plate eateries that serve up as tempting an atmosphere as they do food. 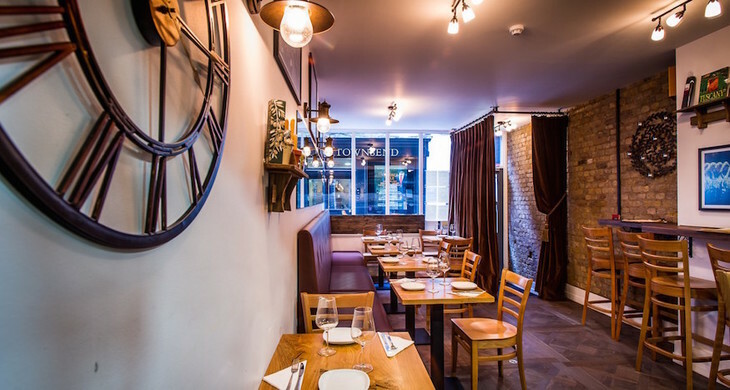 Highbury Corner restaurant Trullo is a real gem, displaying with prominence the from-the-heart style of cooking that Italy is known for. In fact, you'll probably see the chef (glass of wine in hand) carefully dishing up plates of food at the open kitchen as you tuck into specialities including meat and fish from the charcoal grill and gutsy freshly-made pastas. Expect to pay around £10 for starters and £20 for mains. Caffe Caldesi: Home-style rustic Italian cooking from Giancarlo and Katie Caldesi. Lardo: Pizzas, British-cured but Italian-styled charcuterie and blinding arancini at this hip Hackney spot. Locanda Locatelli: Michelin-starred Marylebone classic from Giorgio Locatelli.